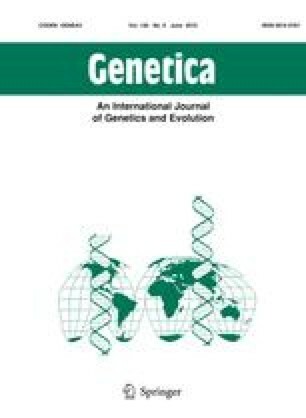 Are large wattles related to particular MHC genotypes in the male pheasant? In sexually dimorphic species, partners can assess heritable mate quality by analyzing costly sexual ornaments in terms of their dimension and possibly of their symmetry. In vertebrates an important aspect of genetic quality is the efficiency of the immune system, and in particular the Major Histocompatibility Complex (MHC). If ornaments are honest advertisements of pathogen resistance (good genes), in line with the Hamilton-Zuk hypothesis, a correlation between ornament expression and MHC profiles should exist. We tested this hypothesis in the common pheasant Phasianus colchicus by comparing male ornament characteristics (wattle and spur size, and wattle fluctuating asymmetry) with a portion of exon 2 of the class IIB MHC genes containing 19 putative antigen recognition sites. A total of 8 new alleles was observed in the MHCPhco exon IIB. We found significant differences in the occurrence of MHC genotypes between males carrying large or small wattles. Homozygous genotypes predicted large wattle males more correctly than small wattle males. The association between the dimension of the spur and the occurrence of MHC genotypes was marginally significant, however, we did not find any significant association between MHC genotypes and asymmetry. Our results suggest that female pheasants may use the ornament size as a cue to evaluate male quality and thus choose males carrying particular MHC profiles. We thank R. Stanyon, G. Bertorelle, M. Ciuffreda and S. Mona for comments and suggestions. We thanks the CIBIACI sequencing centre for optimizing the CE-SSCP technique. This research was supported by grants from the Italian Ministry (PRIN/2005). We also thank G. Sanders for English revision.